On Thursday 15th August, Israeli occupation forces entered the village of Bruqin in the early hours of the morning. Four jeeps full of soldiers made their way first into the valley, and then into the village itself. The Israeli army at first did not exit their vehicles; they stayed inside the village for approximately 15 minutes before leaving. After 40 minutes had passed the jeeps returned, once again waking the residents, and this time the soldiers entered Bruqin on foot. This night invasion shortly follows the release of Mustafa Othman al-Haj, one of the 26 prisoners released on Tuesday 13th August. 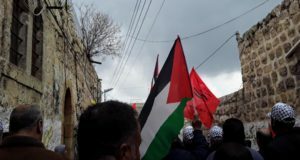 Residents were concerned that Mustafa would be re-arrested in the raid, having seen that one of the jeeps appeared to be carrying Shabak (Israeli intelligence) agents, who appeared to be referring to information on a computer as they patrolled around the village. “It is common that they re-arrest these released people, or come and give them a warning in the night” said one resident of Bruqin. It was also witnessed that soldiers were carrying devices used by the Israeli military to forcibly break down doors, although they were not used. Mustafa is one of five men from Bruqin who was arrested and held by Israel for many years. A further man is due to be released in the coming months, another in the next year, with the final two residents remaining in prison. 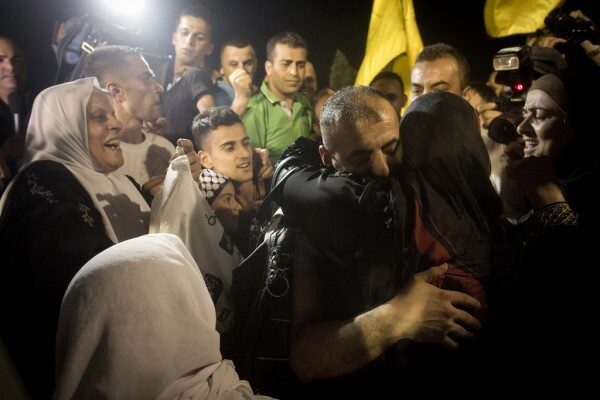 Although Mustafa is now a free man, his release is not without conditions, for the next 10 years he must abide by certain guidelines and for the next year he must remain in a specific area of the West Bank. His return to Bruqin caused considerable celebration as he had been imprisoned for over 24 years. 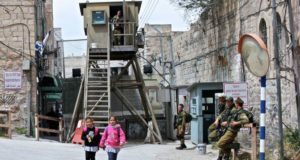 However, there is much to be concerned about in Bruqin and indeed the whole of Occupied Palestine; according to Addameer (Prisoner Support and Human Rights Association) since the “peace” negotiations were announced on July 19th there have been over 200 arrests. Bruqin itself is not unused to the injustice of occupation, currently the village is at risk of having 100 dunums of land stolen by an illegal settlement. The villagers of Bruqin have attempted to contest these plans in court but so far there attempts have been unsuccessful. All settlements are illegal under international law but this has not stopped the loss of Palestinian land, in Bruqin and the West Bank as a whole.